London will take its place as an Official City for Peace, when the programme and honour is bestowed on the capital at the Inaugural Football for Peace Ball, which is in aid of the two year programme. 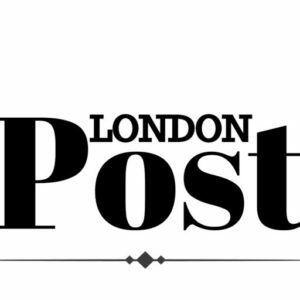 Four professional London football clubs have partnered in the ‘City for Peace’ London project to unite London post the tragic events which have occurred over the past 18th months. The project will be launched at the Football for Peace Ball which is supported by the City of London and will be hosted by HRH Prince Ali Bin Al Hussein of Jordan. The glittering black tie is themed Football Diplomacy and will take place at 6.30pm on Friday, 17th November 2017 at the Iconic Guildhall in London, with royal patronage, plus countless diplomats, football legends, celebrities, corporate leaders and many Football for Peace supporters coming together to support and raise funds for the ongoing movement. On the evening, Football for Peace will announce the launch of their ‘City for Peace’ London youth project and will also be honouring footballers and their mothers who have made an outstanding contribution to society through their philanthropic ventures. Ronaldinho and his mother, Dona Miguelina Eloi Assis dos Santos, and Didier Drogba and his mother, Clotilde Drogba, are just some who will be recognised on the evening. Be there on the night. or call 020 7324 2025.